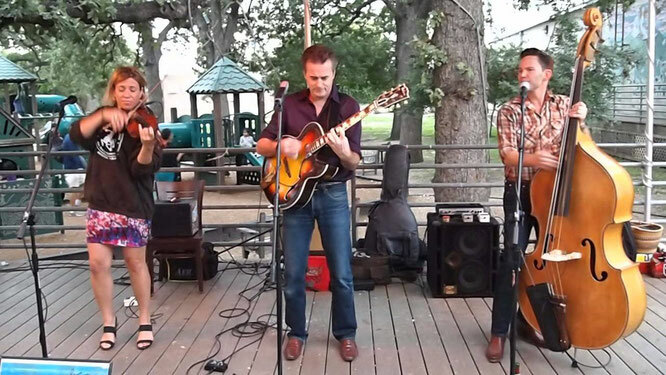 Hot Club of Cowtown performs "Ida Red"
Ida Red, Ida Red, I'm a plumb fool 'bout Ida Red. Verses are unrelated, rather humorous, and free form, changing from performance to performance. Ida Red's identity is unknown, but is feminine in most uses. The earliest recording is a one by Fiddlin' Powers & Family (Victor 19434, 1924), which includes vocals. There is also an early well-known instrumental by Dykes Magic City Trio, (Brunswick 125, 1927). 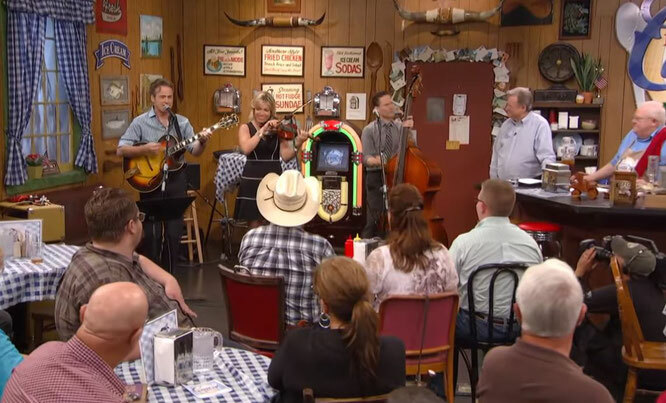 Like his father and grandfather, Wills, renowned in parts of Texas for his fiddling talents before he formed the Texas Playboys, would have learned this tune in his earliest days of fiddling. 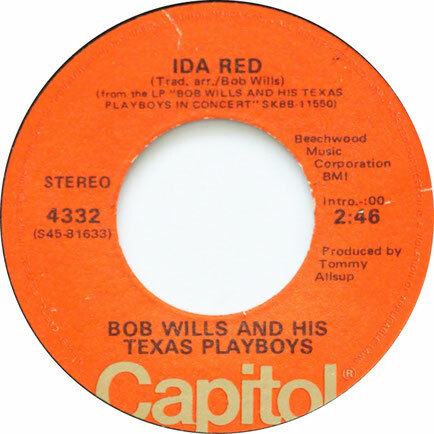 Ida Red, the personage, appears in a number of other songs only distantly related to the song "Ida Red".